Summer is upon us, and many families are looking for some fun and free (or cheap) things to do. 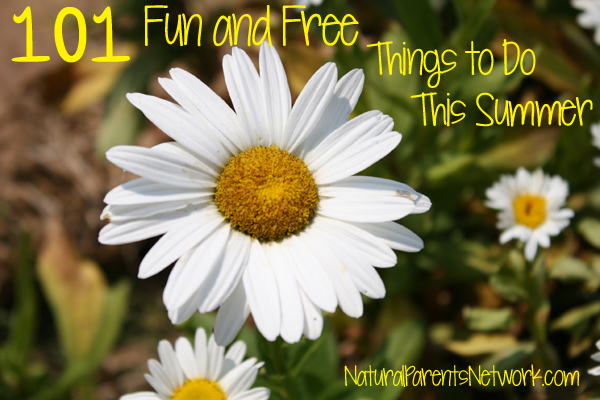 Check out our list of 101 things to do with your family this summer. Sometimes the best things in life are free. Visit a nature center or wildlife preserve and get back to nature. Visit an aquarium, and cool off among the fish. Have a pizza party with a movie that is “based on the book” you just read. Go birdwatching. Try sketching or identifying what birds you see. Start your own compost — whether it is a simple trash can with holes drilled or a more complicated system. Hide items and plan out a treasure hunt. Go to a botanical garden. Consider taking a sketch pad and pencil or camera. Set up a design out of dominoes and set them off. Brave a lake, and swim with the fishes. Visit a farm and learn about what goes into growing food. Tend your own garden and eat foods fresh from your yard. Visit a beach. If you don’t live near a coast, check out local lakes. Make a family time capsule. Find out when the local “Kids Eat Free” nights are and go out to eat. Savor not having to clean the kitchen. Volunteer at your local animal shelter. Many rescue organizations will accommodate families with activities that don’t involve direct animal contact. Build a rain barrel to collect runoff water. Use it to water your garden. Make wishes at a water fountain. Don’t forget to bring some coins. Drop off homemade cookies for the neighbors, someone you appreciate, or a local nursing home. Go to the zoo. See if your local zoo has free days for residents or if the library has a pass you can borrow. Head to the local splash park. Go stargazing. If you live in the city, you may want to travel out a bit for a better view of the night sky. Learn how to make balloon animals and be a hit at the next party you attend. Check out the local fireworks around Independence Day (for U.S. residents). Help your children have a bake sale during the neighborhood yard sales. Be certain to include drinks for thirsty shoppers. Build a bat house, and combat the mosquitoes naturally. Catch and release lightning bugs. Camp in the backyard. There is no fee, and a bathroom is just a few feet away. Borrow a tent if you don’t have one. Freshen your fire skills, and visit the local fire station. Go bowling. Check out parent and child discounted rates or kids-bowl-free programs. Visit a local museum. Check your city sites and library for discounted or free admissions. Play flashlight tag after dark. Write thank-you notes and drop them off at places like the fire station or post office. Turn on the sprinklers for some backyard fun. Attend a summer concert. Many cities offer free summer concerts during the summer, many complete with complimentary popsicles. Visit a small local cave. These tend to be just the right size for young children without the costs associated with commercial caves. Have a “just because” party. Maybe it’s Wednesday! Attend free story time at the local library or book store. Invite family or friends over for a hot dog or marshmallow roast. Tell stories around the campfire. Make a pie or cobbler. Get a group together for group pricing at miniature golf. Buy some inexpensive canvases and try your hands at plein air painting. Have a picnic — for breakfast. Send silly packages back and forth with friends. Read. There is always a new adventure to find in a book. Share some of your favorites with your children, or enjoy some new ones with them. Use UV-sensitive beads to make color-changing bracelets. Put up some bird feeders to encourage birds to visit your yard. 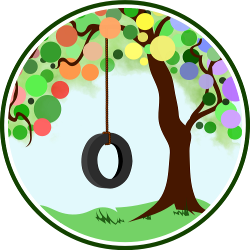 User recycled materials to build a tree house or fort. Make your own bug spray using essential oils. Play frisbee golf or just frisbee. Go berry picking. See how many berries make it into the bucket rather than your children’s mouths. Let your children bury your legs in the sand. Have a cook-off and see what new dishes your family tries. Have a family game night. Pull out your favorite boardgames and make it a night to remember. Build a butterfly house, and learn about which flowers attract butterflies. Go letterboxing. If you haven’t been letterboxing before, start a new family hobby. Build a pillow and blanket fort inside when it is too hot to go outside. Make your own popsicles. Try making them from green smoothies for a healthier option. Build rockets and launch them. Watch closely so you know where they land. Turn off the electronics for a week (or even a weekend). Learn a new art technique. Take turns making obstacle courses. Watch the clouds. See what shapes you can find. Learn some new jokes so you aren’t listening to the same ones over and over. Make homemade ice cream with all-natural ingredients. Have a dance party in your backyard. Play with ice to cool off and have some sensory exploration. Have a themed photo shoot for your family. Be certain to let the kids take some of the photos. Explore a creek and see what creatures live around it. Go on a walking tour of historical places around town. Try your hand at yard games. Make toys out of pool noodles. You can find pool noodles for under $1. Gather friends for a group game. Try kickball, softball, or soccer. Build a village or house out of cardboard boxes from the recycling bin. Blow dandelions, and make a wish. Snuggle your children close and tell them you love them.